Every kitchen we create is designed to be a thing of beauty. In ten years' time we want you to get the same buzz from looking at it as you did on the day it was finished. And we want your friends and family to be smitten with it too. 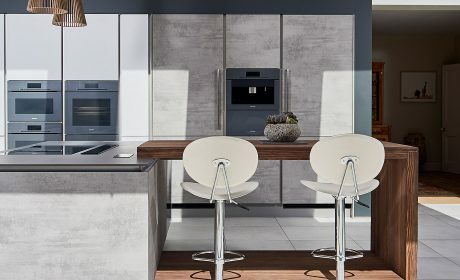 Because we work with three award winning kitchen brands, our experienced designers have a vast choice of options to offer you. Their designs have been featured in many interiors magazines and they’ve sat on industry expert panels. 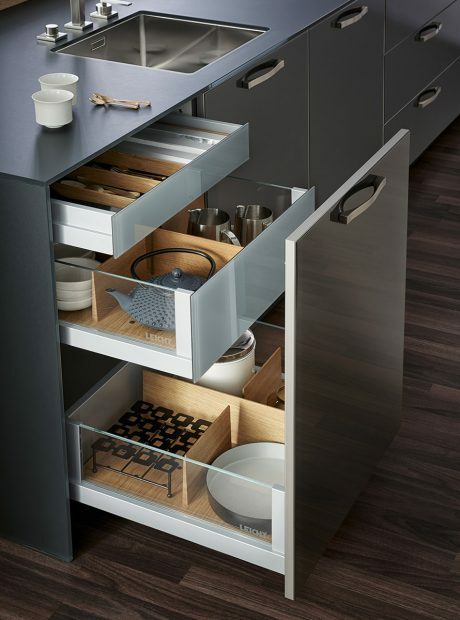 Our cabinets come in numerous heights and widths, or can be made to measure, so you can be sure that your kitchen fits perfectly into your space – however irregular it may be. Thanks to the skill of our installation teams, we can also design into your kitchen bespoke elements that you won’t find in supplier catalogues. In our showroom you can see first-hand how we customise our kitchens. Each display kitchen has been designed by our own team – rather than by the manufacturer – with bespoke cabinetry and lighting. We can incorporate pantries, passage doors, sliding pocket door systems, ceiling hung cabinets and other non-standard features. When you come to see us, we'll talk through your project and what we can offer you. We provide fully detailed service plans and all the help you will need to make sure that your kitchen fits into your space. Our case studies show you what we can do and how it works for our clients. We recommend a visit to our showroom to see the huge range of options we can offer you. This will help you visualise your new kitchen and get a feel for us and our products. We can advise you on which kitchen brand best matches your aspirations, style and budget. Then comes the exciting part – the design consultation. We will work from architects’ plans in our showroom if your build hasn’t yet started. The brief provides the direction and inspiration for our designers to create a beautiful kitchen that is a joy to cook and eat in. We take as much time as you need to go through options and specify finishes, appliances and worktops. 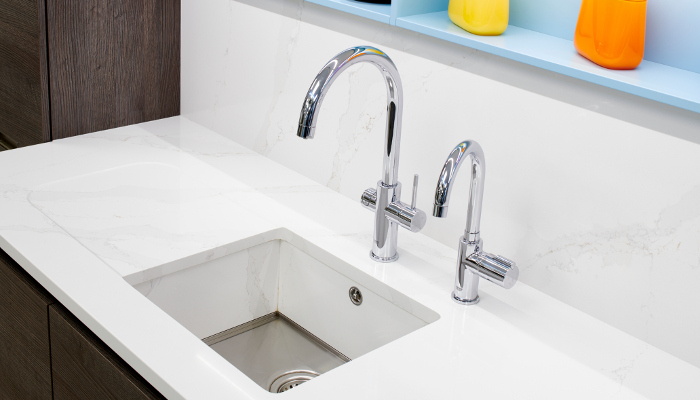 Likewise for lighting, sinks, taps and splashbacks. We work with all the leading brands, including Miele, Gutman, Siemens, Neff, Grohe, Blanco, Silestone, Ceralsio and Spevka. Given the bewildering range of materials and options available, our design team will make sure you get the right blend of materials, finishes, colours and components to suit your lifestyle, space and budget. 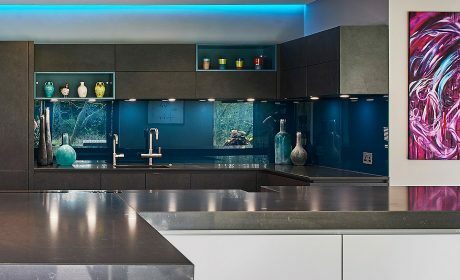 When it comes to fancy extractors, wine cabinets, sous vide drawers and boiling water taps, you may not be familiar with all the latest options. We have a wide range of working models on show. You can even have a play with them.